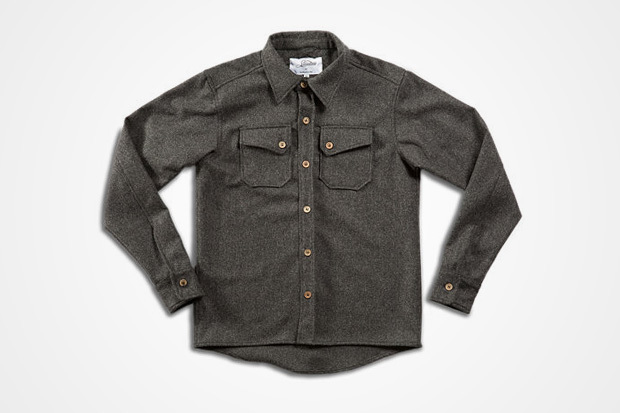 A Woodlands Supply Co. exclusive, the Heavyweight Overshirt is a product of their ongoing partnership with 3sixteen. Each season, the Oregon-based retailer works with 3sixteen to create a unique run of shirts utilizing genuine textiles from the regional wool masters at Pendleton Woolen Mills. This time around they selected this beautiful heavyweight wool in dark pine and charcoal, then paired it with perfectly contrasting wooden buttons in a slightly larger size, giving the shirts just enough of their own personality. This piece is perfect when the temperature starts to drop and, thanks to a careful cut, is equally adept whether worn as an overshirt/jacket, or layered under something heavier. Two colorways are now available here. Pendleton is a registered trademark owned by Pendleton Woolen Mills, Inc. Originally previewed back in December, the Acid Series from Oakley finally begins to release.